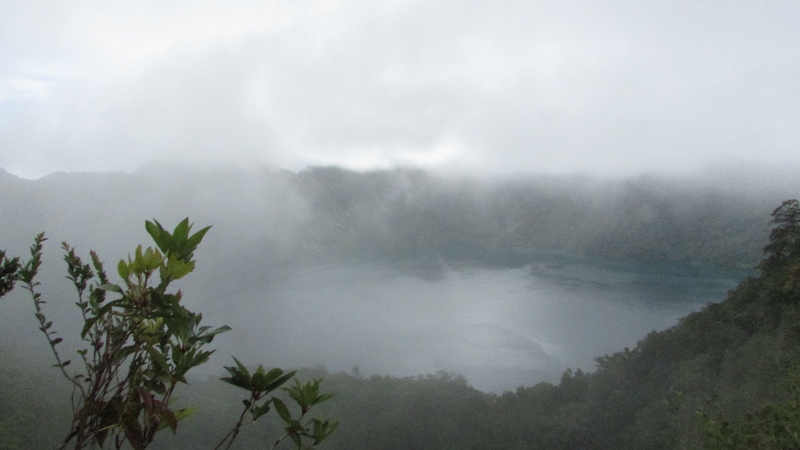 Lake Holon: Everything I should have known before going there! Unless you take your own vehicle with you, the only method of transportation available from the T’boli Municipal Hall to Lake Holon’s receiving centers is the habal-habal. In case you have no idea what that is, it’s a single motorcyle with an extended seat to accommodate 3-4 passengers. The habal-habal ride is at least 1 hour and 30 minutes. And if you’ve never tried it, it’s going to be the most uncomfortable 90 minutes of your life. The moment you step out of T’boli poblacion (first 10 minutes), the concrete road ends and the entire journey winds up on dirt road. Prepare yourself for dust and/or moisture along the way. After the ride, I felt all my energy had been drained. I was told I sat wrong. Apparently, the ideal way to sit on the habal-habal is to stick your torso as close to the person in front of you as possible and to place your foot directly under your knee. If you’re maarte like me, take the habal-habal. You need this experience in your life. Local Tourism Office in T’boli Municipal Hall – This is where our journey started, and probably yours too. This is the point of origin of the habal-habal ride. If you need to request for assistance such as vehicle and tour guide, coordinate with the local tourism office first, that way you won’t be lost. They will orient you (albeit not extensively) about what you can expect on the hike going to Holon. The tours are almost exclusively operated by the Local Government Unit. They are as helpful as they can be. Or at least they try. They’re working on it. Give them a break okay?!?! Hahahaha. Okay stop na. 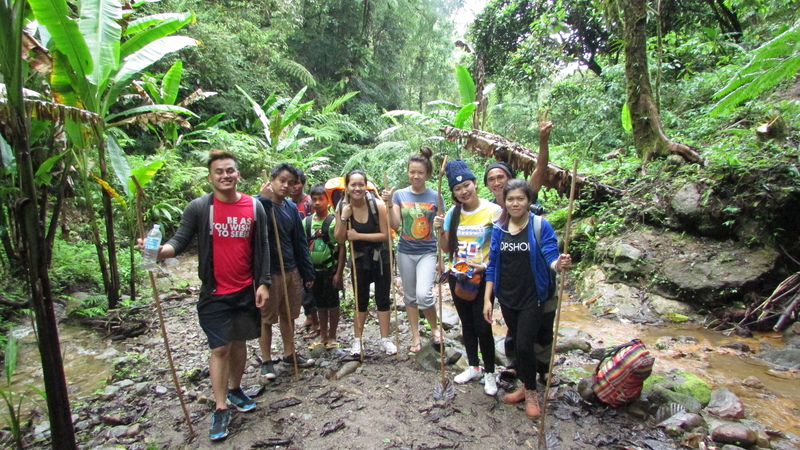 Salacafe Receiving Center – If you want the “easier” trail going to Lake Holon, this is where you go. This is where you register and if you haven’t met your tour guide yet, this is probably where the tour guide will orient you. You must try their native coffee before you leave. I’m not sure if this receiving center is open for homestay. 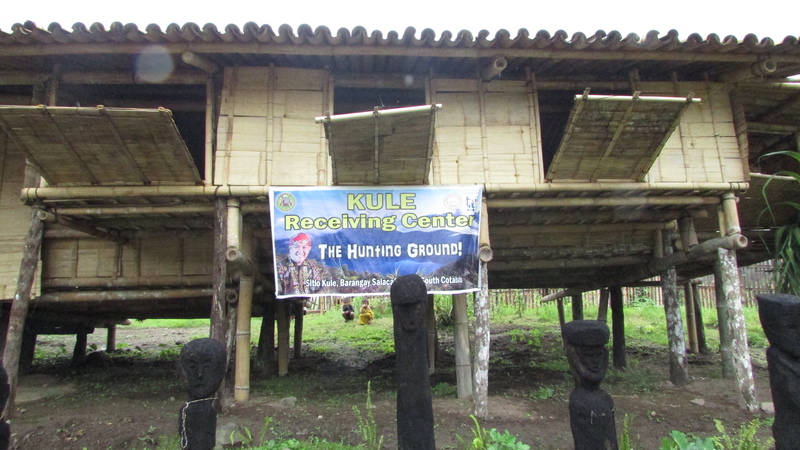 Kule Receiving Center – Tourists can spend the night here in a traditional T’boli hut and experience T’boli hospitality. The locals can prepare their native coffee for you and they can prepare a warm dinner at a reasonable cost. Kule Trail – As a trekking virgin, the Kule Trail proved to be a real challenge for me. Of course mountaineers and experienced hikers would tell you otherwise. But I really felt like I risked my life walking this trail. I slipped and fell probably 5-7 times on the freshly watered ground (it had been raining). Once, I nearly fell off a ravine. Good thing we had 2 porters, one walking directly in front of me when I fell on him, and the other one walking right behind me and caught me by my backpack. 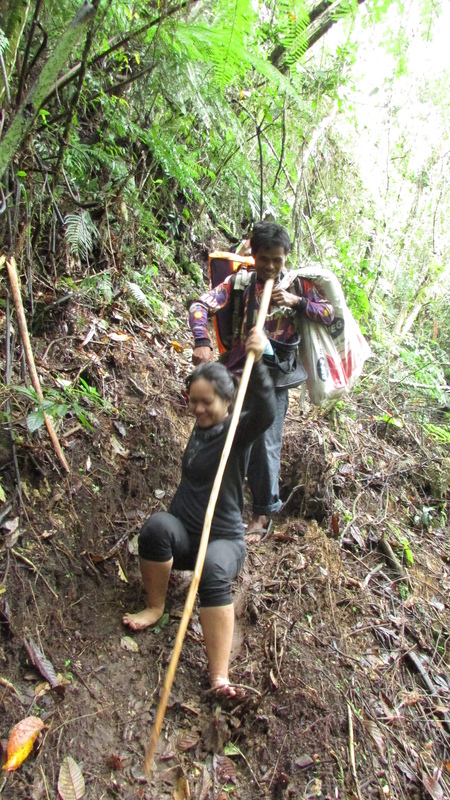 Halfway through our descent to Lake Holon, I was already walking barefoot in the jungle because my training shoes were not hiking shoes and my bare feet held a better grip on the muddy surface. Lol. Next time I know better to wear something more moisture- and slip- resistant. But it wasn’t all that bad. 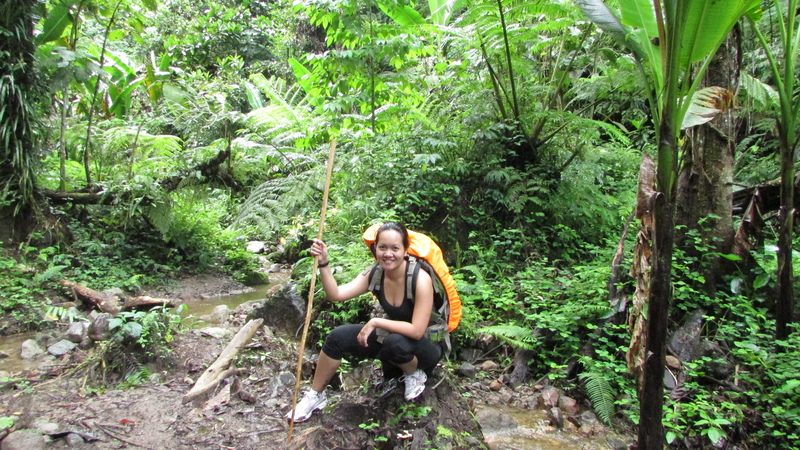 The trail traverses a beautiful rainforest. 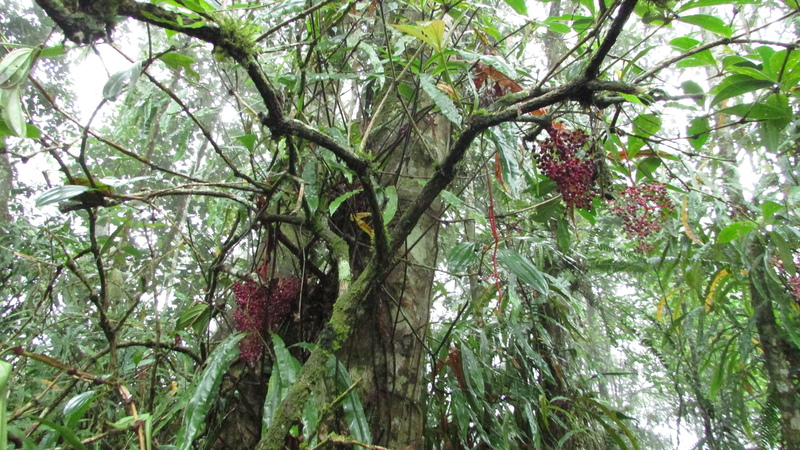 The amount of flora in the jungle was enough to convince me that we chose wisely when we decided to walk this trail. Halfway through, we passed by quiet streams, hot springs, and plants and trees I’ve never seen before. Nearly two hours in the hike and we reached the viewdeck where we’re supposed to see all 304 hectares of Lake Holon. But when we got there, the fog made it impossible to see anything downhill. So we sat and waited. Personally, I asked the universe to give us a glimpse of Holon. Lo and behold, as if the universe took pity on my group, the fog was cleared for few beautiful seconds! It was amazing. The lake was as tranquil as it can be. It was love at first sight. I couldn’t wait to descend to see the lake up close. Would I recommend the Kule trail? 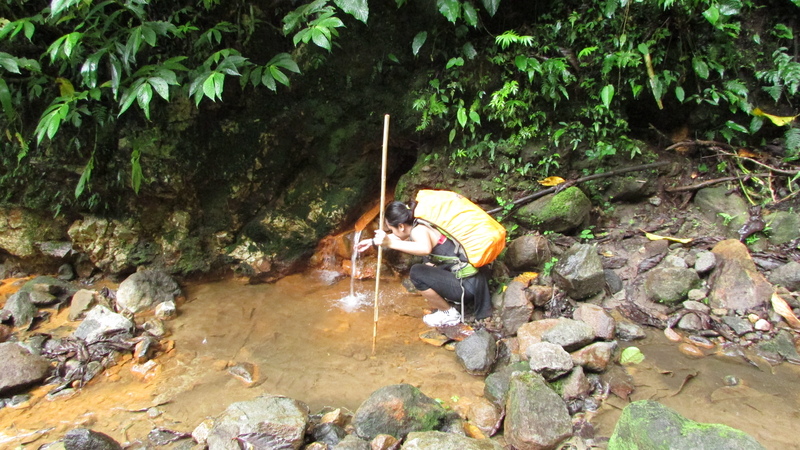 Perhaps, if hiking is not new to you and you know the proper way to walk through mud without slipping. 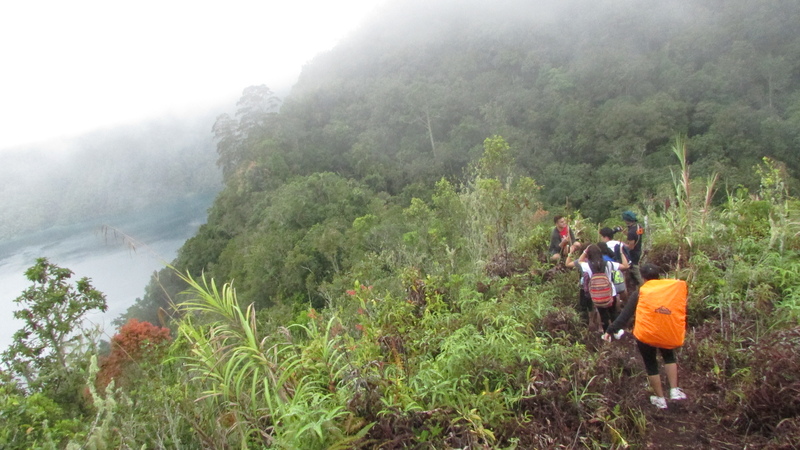 But if you’re a newbie like me, you’d enjoy the trip more if you take the easier route, which is the Salacafe Trail. 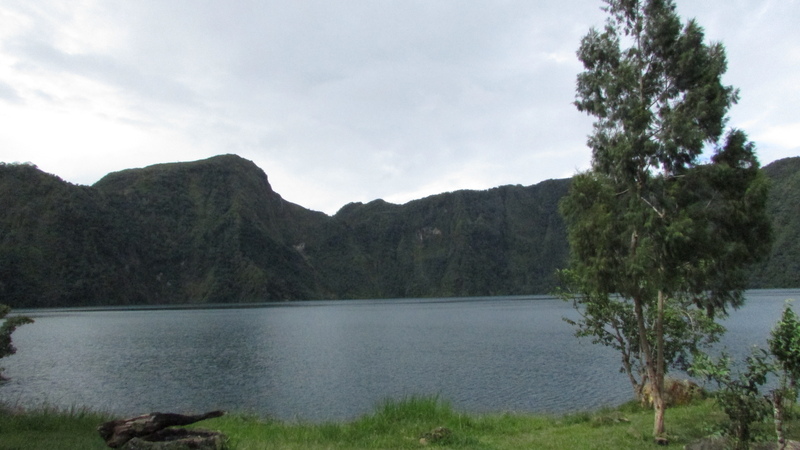 Upon reaching Lake Holon, you shall set up camp directly by the lake side (ideally 30 meters from the shoreline but there’s just not that amount of flat land by the lake). Depending on your tour guide, you might have people there ready to catch wild tilapia from the lake and grill them for you. It’s gonna be a cold night. I did not regret taking a woolen blanket and a soft pillow with me. My group did not camp in Lake Holon. We slept at the T’boli hut in Kule. It still felt like camping though. Be prepared to spend! From the tour guide, to the warm meals, to the porters, and the habal-habal, every experience merits a cost. The costs aren’t that high. But since they haven’t established a fee structure yet, it might seem like you are paying your way through the trip. Remember: WHAT HAS WORTH IS WORTH PAYING FOR! Meals: Php 50 per person per meal (This is a rough estimate, it really varies on what they serve. For instance, tilapia would be more costly than corn and that’s just how it is). 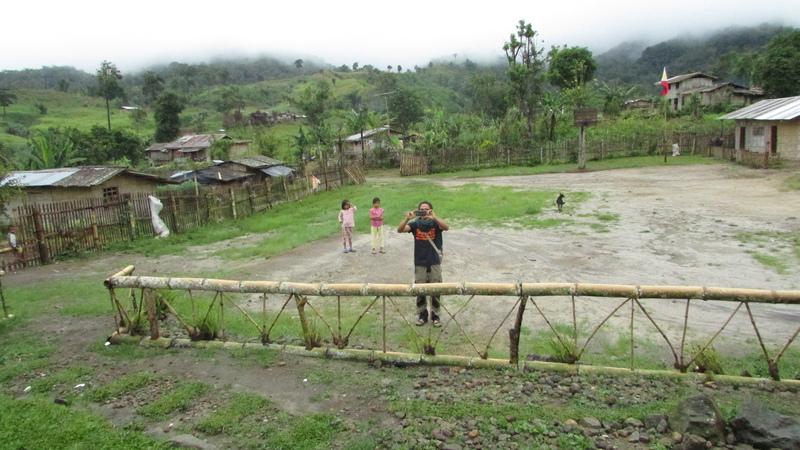 Kule Receiving Center Homestay: The cost of this hasn’t been established yet, but any donation from your heart to the local T’boli tribe would be of tremendous help. 6. The Yoga – my personal reflections I approached the entire trip like a moving meditation which I aptly gave the theme “Total Non-attachment to Comfort”. From the habal-habal ride to sleeping on bamboo floors, walking barefoot through the jungle, to feeling tired and sore by the time we reached the lake, and then walking back to civilization – every experience was, in a way, an activity so deviated from my comfort zone. Every time I struggled through the trails (which was practically ALL THE TIME), I had to remind myself that I chose to be there. I also reminded myself that my struggles WEREN’T REAL. I mean sure it was uncomfortable and tiring, but I was in there for an adventure. Unlike so many others who have real battles – people who are battling drugs, depression, anxiety, hunger, thirst, prejudice, war – these are the people with real problems, not me. And so I kept walking. And basically each time I wanted to complain, I chose to shut up. Every time I slipped, I could have complained about how slippery the trail was. But I laughed with the T’boli porters instead. The way I see it, you can either complain at every single thing life throws at you, or you can laugh about it. You have to gauge which is a more efficient use of your energy. I chose laughter – because complaining can only do so much. By the time we reached Lake Holon, I was so exhausted that all that was left to do was sit in silence for a few minutes and just let the overwhelming beauty of nature wash over me. I had a meaningful meditation practice by the lake. It was as if I had to be that tired to just feel content in silence and stillness. As I sat there, exhaustion and all, I decided that it won’t be my last time in Lake Holon. I would endure the journey all over again just to be in a place as peaceful and heavenly as Lake Holon. The journey to Holon – or any hidden piece of nature – can be likened to our journey back to the Creator. It is easier for a camel to go through the eye of a needle than for a rich man to enter heaven. And indeed, since all of us are “rich” – one way or another – we have to really prove our worth if we want to behold something as precious as paradise. Hi Leona! Thanks for sharing this article! 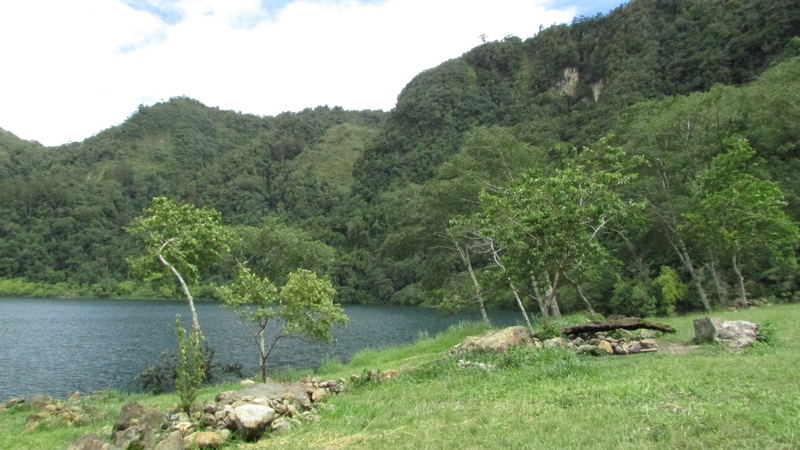 You might find this one http://discoveringphilippines.com/sacred-simplicity-of-lake-holon/ interesting too!